HORRY COUNTY, SC (WMBF) - WMBF News is digging for more answers about the departure of a high-ranking Horry County Police Department employee. 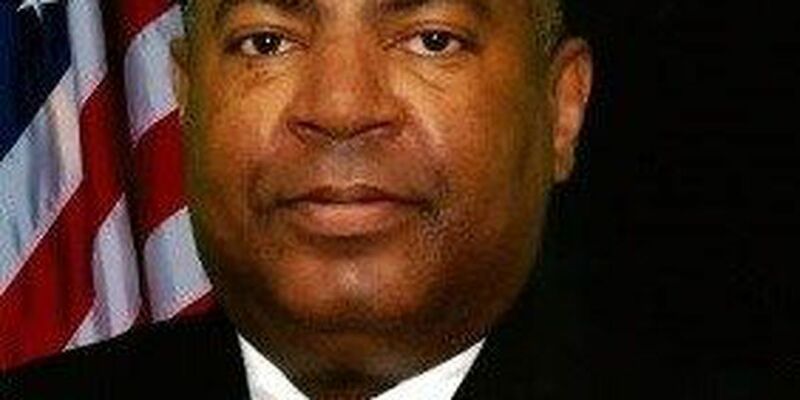 In August, the news first broke that former deputy chief Maurice Jones resigned after an investigation revealed he lied about ordering an employee to drop 53 open investigations. Jones told WMBF News off camera he did not resign, but rather retired with full benefits. That begged the question of why a deputy chief accused of lying would get full benefits. The announcement originally said Jones was retiring after 33 years with the department. That wasn't exactly true. As it turns out, Jones had actually first retired in June 2012, then came back to work for Horry County just 16 days later that same month under the process known to many as the retire-rehire program. So, as it turns out, the most recent departure was a resignation, not a retirement. The distinction typically matters when it comes to benefits. Resigning means officers who leave only keep the amount of money they put into the retirement system. They also don't receive full benefits. However, if they retire after 25 years, they are entitled to full benefits. In Jones' case, he already had his 25 years in the system, so he gets the full benefits, even though his recent separation from the department was a resignation tied to misconduct. Deputy Chief Jones ordered an employee with the Horry County Police Department to administratively close 53 open cases without any type of investigation. When Deputy Chief Jones was asked about this by IA, Deputy Chief Jones said he never ordered that to be done. Through the IA investigation, it was determined that Deputy Chief Jones was being dishonest and untruthful. The next question was if there are any scenarios where misconduct would prevent an officer from getting full benefits. According to the Public Employee Benefit Authority (PEBA), there are few. Other than a conviction of embezzlement, as specified under Section 8-1-115 of the S.C. Code of Laws, a public employee does not forfeit benefits under the retirement systems administered by the Public Employee Benefit Authority if he resigns as part of disciplinary action or is convicted of a crime. In the case of an embezzlement conviction, a lien would be placed on the member's retirement benefits for the amount of the loss or damage to the state or local governments. That means Jones keeps the full benefits he earned after his first 25 years with HCPD. Jones originally refused to talk about the situation on camera, but did state he retired effective July 1. He said he was thrown a retirement party and is receiving retirement benefits. When asked about the 53 open cases he allegedly ordered dropped, Jones said there is a difference between an open case and an administratively open case. He did not return a recent call for further clarification. Horry County Police Chief Joe Hill said 26 cases remain open and under investigation. The other 27 were closed for lack of leads, or because the victims passed away or no longer wanted to pursue the case. "We are still working through the remaining cases to determine if any leads can be developed," Hill said. "I made a promise that we would do all that we could do to bring closure to the victims when we could. I'm very proud of the efforts of these detectives. We are imperfect beings, but when we see mistakes, we move to correct them so it doesn't happen again. The trust of our community is paramount to our success as guardians, and I take that responsibility seriously. We all do, because that's the standard that has now been set." Horry County employees denied a request for more information regarding the internal investigation, which determined Jones was being dishonest. For a closer look at the retirement benefits handbook, click here.